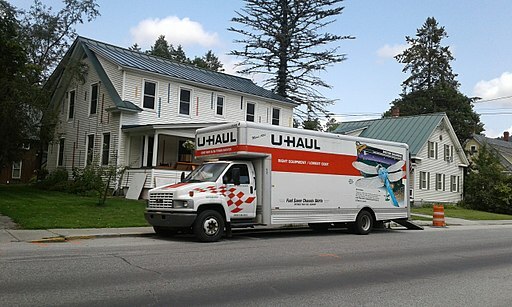 Relocating, near or far, is a huge challenge for any family. Now, what if companion animals are involved? Just how do you move with pets stress free? Actually, it is possible but it requires a plan. Not improvisation. A well thought out strategy that you stick to until completion. Understandably pet parents are totally wrapped up in dealing with their own needs (new job, new school, and everything else). Unfortunately, however, they completely forget to consider what is going through the mind of an animal. Sadly, they are often insensitive to the fact that an animal instinctively knows when something is up. And, as a consequence of this, it will feel confused, and apprehensive, and insecure. 1. While you pack furniture and personal belongings, leave your pet’s items till last. 2. As far as possible, maintain your pet’s daily routine for waking up, feeding, exercise, human interaction and rest. 3. Reassure them with love, petting and play. Do not exclude them from your life just because you are busier than normal. 4. Make a check list of all pet items needed for the journey. Identify and load packed pet items last so they are unpacked first when you reach your destination. 5. On moving day, keep your pets contained in a safe place so they do not run out of the home and go missing. 1. When you arrive at your new home, contain your pets in a safe place with their most essential items while you start to unpack and organize. 2. Do not let them roam around freely. Instead, confine them to a small area and gradually allow them to explore the rest of the home. That way they can adjust slowly and not become overwhelmed. 3. Aim to reestablish your pet’s daily routine and be attentive to any signs of anxiety. him he is still loved. 5. Slowly introduce your dog to the neighborhood as you establish an atmosphere of normalcy. If you are cautious and thoughtful, the process will go a lot smoother. Don’t stress yourself out. Stress free moving with pets is possible. Be sure to take it slow. Remember this, they will adapt and cope much better and enjoy their new home environment much quicker.